We cooked up a treat of a show that was set in the heart of the jungle. 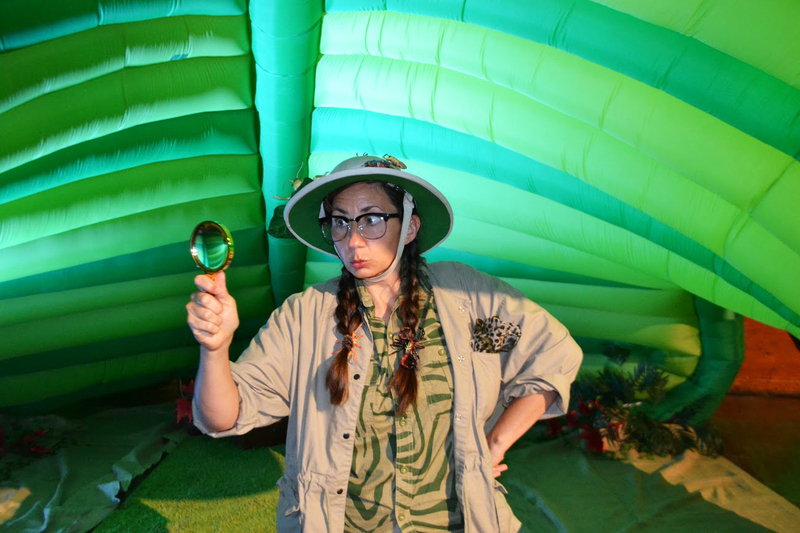 OK, it was really in Colston Hall’s main theatre, but we managed to transform the huge space into an atmospheric Adventureland with vines, giant leaves, snake pits and a life-sized elephant overseeing it all. This was not your average ‘sit in your seat’ show for the 150 person audience at each event, but rather a theatrical interactive experience combining performance, song, live music, dancing, storytelling, craft making and more. ‘Pricilla Queen of the Jungle’, a bird of paradise with a ‘Pimp Your Tail Feather’ shack entertained, while other colourful characters such as ‘Bro Constrictor’ & ‘Mr Tree’ worked with the wild things to find the beats for the elephant’s feet. 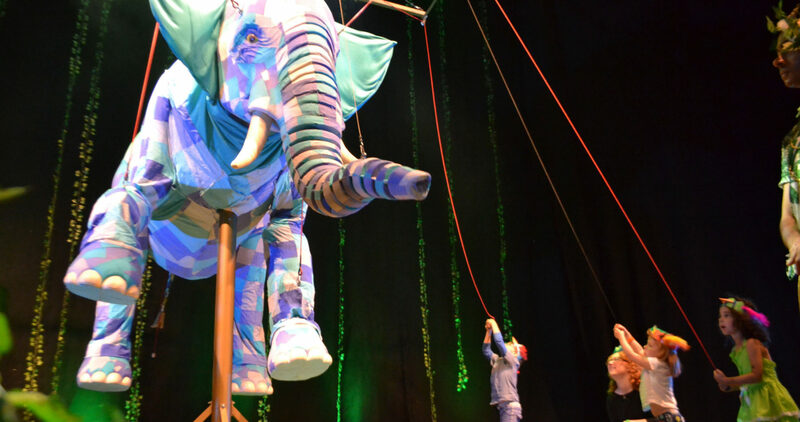 The show culminated with the King of the Jungle coming to life, and every child got a chance to step onto Colston Hall’s iconic main stage and puppeteer this beautiful beast.